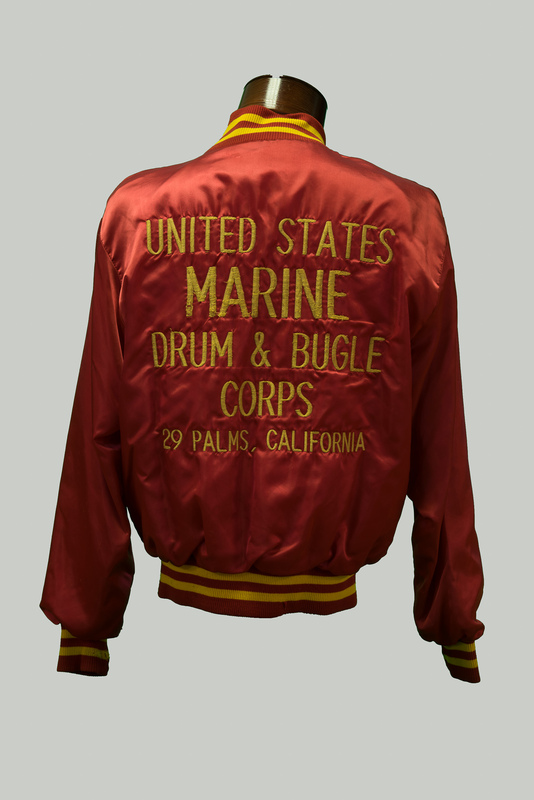 The history of the United States Marine Drum and Bugle Corps can be traced to the early days of the Marine Corps. 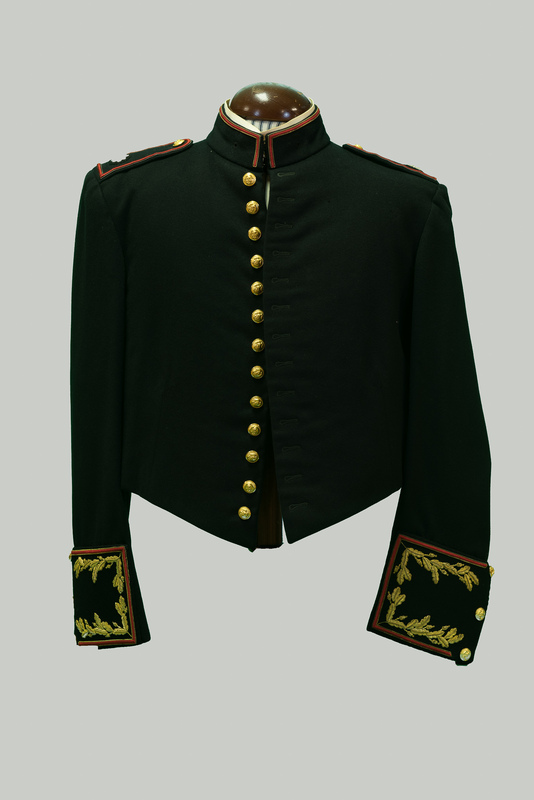 In the 18th and 19th centuries military musicians, or "field musics," provided a means of passing commands to Marines in battle formations. 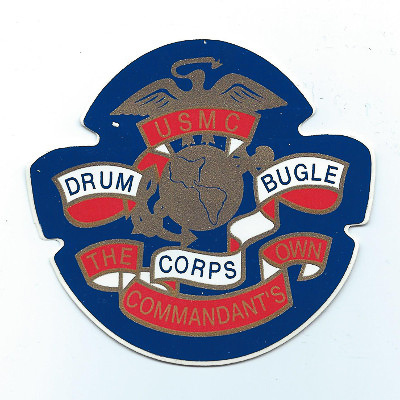 The sound of various drum beats and bugle calls could be easily heard over the noise of the battlefield and signalled Marines to attack the enemy or retire for the evening. 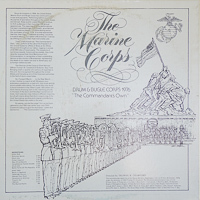 Through the 1930s, Marine Corps posts were still authorized a number of buglers and drummers to play the traditional calls and to ring a ship's bell to signal the time. 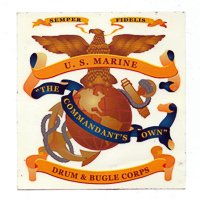 The United States Marine Drum and Bugle Corps was formed in 1934, at historic Marine Barracks, Washington, D.C., to augment the United States Marine Band. The unit provided musical support to ceremonies around the nation's capitol and, during World War II, was additionally tasked with Presidential support duties. 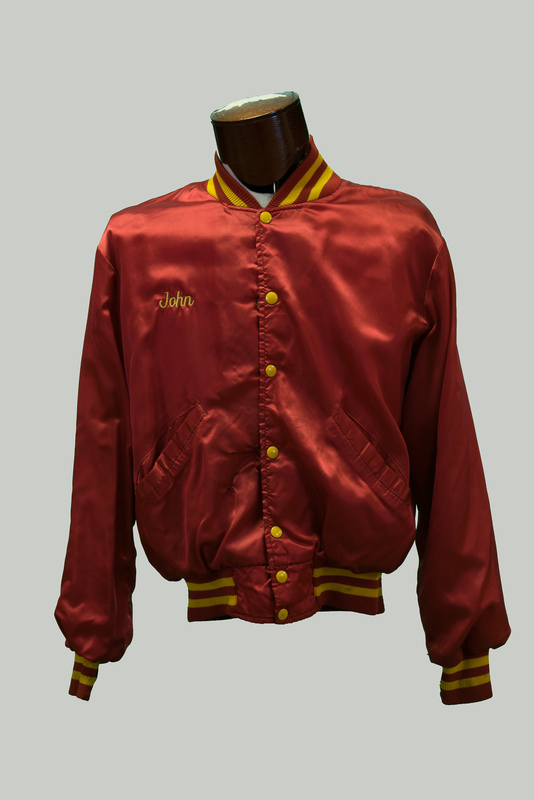 For this additional role, they were awarded the scarlet and gold breastcord by President Franklin Delano Roosevelt, which they now proudly display on their uniform. 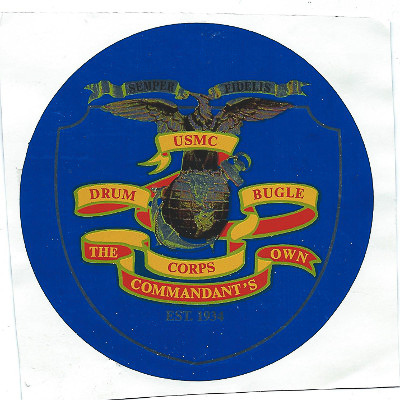 When the war ended, the Drum and Bugle Corps resumed performing at various military and public ceremonies. 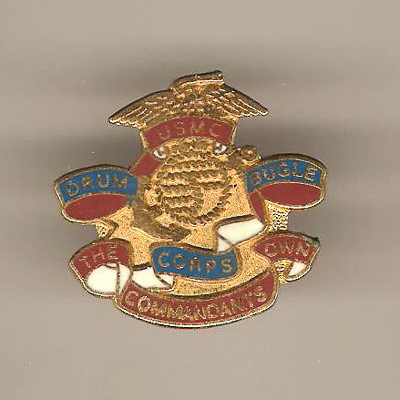 In the early 1950s the unit gained considerable acclaim by performing for increasing numbers of civilian audiences. 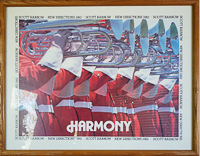 Music composed specifically for their unique selection of instruments helped establish their reputation for excellence during this period. 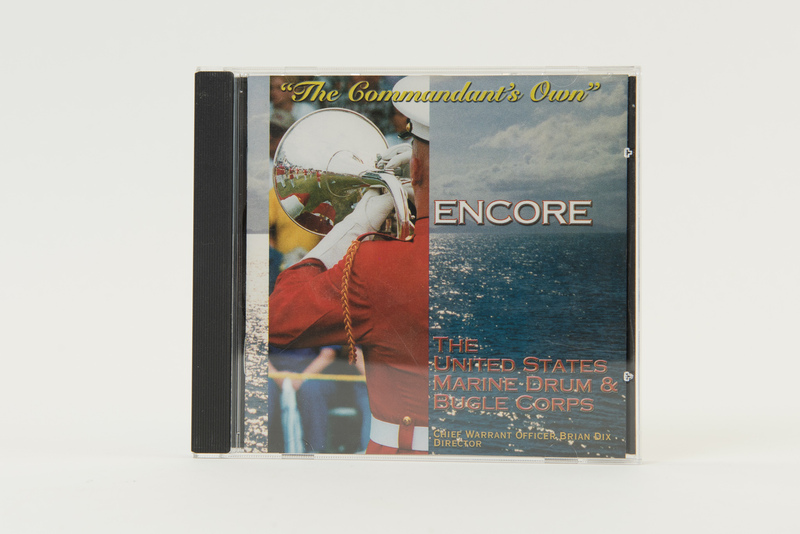 These factors also led to the unit's formal designation as "The Commandant's Own," a title noting their special status as musicians for the Commandant of the Marine Corps. The corps was led for 25 years by Colonel Truman Crawford, a member of the World Drum Corps Hall of Fame. In the tradition of their "field musics" predecessors, these musicians in "The Commandant's Own" are Marines in the truest sense of the word. 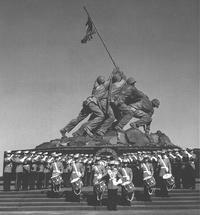 Every enlisted corps member is a graduate of Marine Corps recruit training and is trained in basic infantry skills. 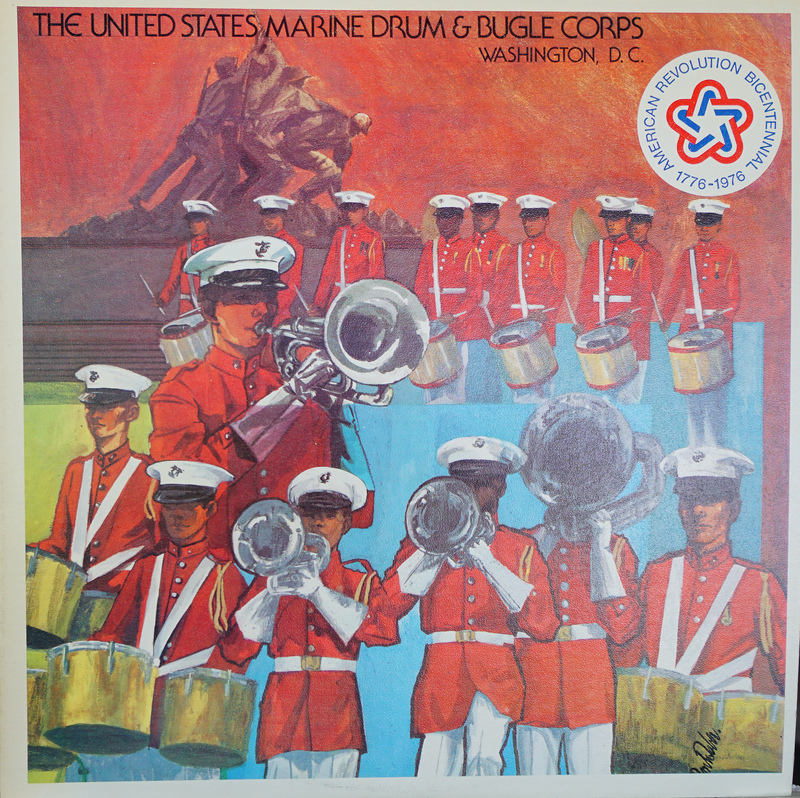 Prior to enlisting, each Marine must pass a demanding audition for service in the Drum and Bugle Corps. 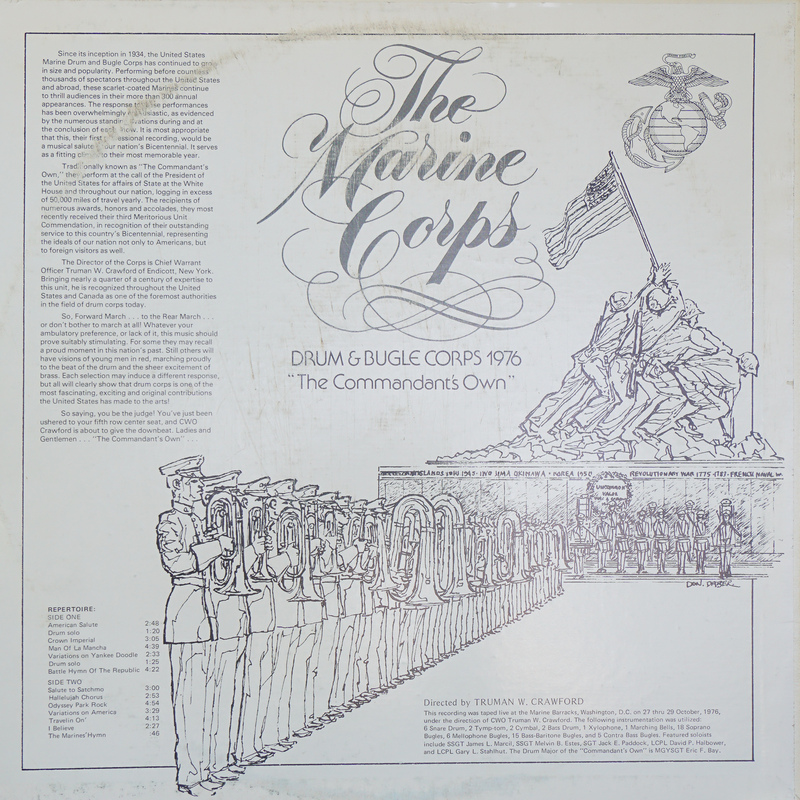 Following recruit training and Marine combat training, the Marines are assigned to "The Commandant's Own." 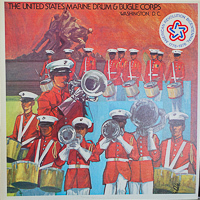 The United States Marine Drum and Bugle Corps performs martial and popular music for hundreds of thousands of spectators each year. 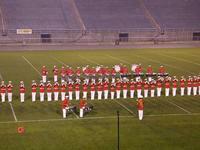 The corps travels more than 50,000 miles annually, performing in excess of 400 events across the nation and abroad. 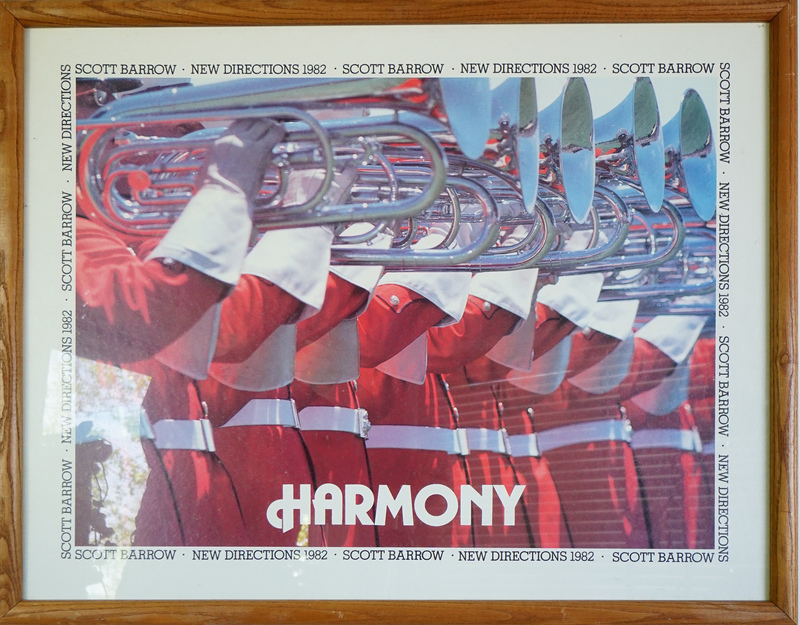 Dressed in ceremonial red and white uniforms, the corps of more than 80 Marine musicians is known world-wide as a premier musical marching unit. 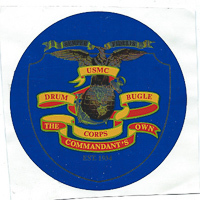 Throughout the summer months the unit performs in the traditional Friday evening parades at the Marine Barracks, Washington, D.C., and in Sunset Parades at the U.S. Marine Corps War Memorial (Iwo Jima Monument) in Arlington, Virginia, every Tuesday evening.